Lighting is an exciting and challenging field. Because it is both an art and a science, the field attracts men and women who love diversity and enjoy the opportunity to be creative in what they do. An increasing number of people are entering the field with an educational background in lighting, but the majority of today's lighting professionals are still prepared in other educational settings or through experience. Regardless of whether your interests are design, manufacturing, sales or business, lighting offers a wide range of job opportunities, especially if you like to work with something that is practical and serves all of us in many ways - LIGHT! Lighting Certification by the NCQLP is an important step in a successful lighting career. Becoming Lighting Certified (LC) means you have not only opened the possibilities for many of the career paths in the world of lighting but have also made a commitment to lighting as a profession. The LC credential demonstrates a basic but broad knowledge of lighting and an understanding of the importance of lighting quality and effectiveness. Lighting Is It for You? The National Council on Qualifications for the Lighting Professions (NCQLP). The NCOLP is an independent, non-profit organization founded in 1991 to serve and protect the well-being of the public through effective and efficient lighting practice. Through a peer-review process, the NCQLP establishes the industry-wide education, experience and examination requirements for baseline certification across the lighting industry. 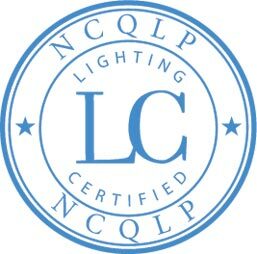 Those who successfully complete the NCQLP Lighting Certification Examination will be entitled to use the appellation, LC (Lighting Certified), after their name for professional purposes. The NCQLP has established a baseline, industry-wide certification process by which practitioners in lighting and related fields, through testing, demonstrate their knowledge and experience in lighting. The LC credential was developed and is regulated by the NCQLP. Its member organizations represent the broad spectrum of the industry. The National Council on Qualifications for the Lighting Professions thanks James R. Benya, LC, PE, for his original draft of this important new lighting industry brochure. Jim's contributions to lighting and NCQLP are many and very much appreciated by all. The Nuckolls Fund for Lighting Education, Inc.